43, Jalan USJ 21/11, USJ 21, 47640 Subang Jaya, Selangor, Malaysia. Syswin Controls offers Value Added Technical Support Services in Automation and Control Industries, makes us more than just another supplier. 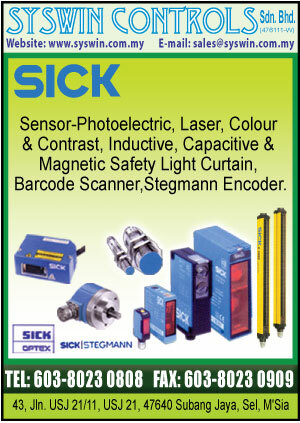 Our company motto says it all: Industrial Automation Experts, We Sell, We Support. 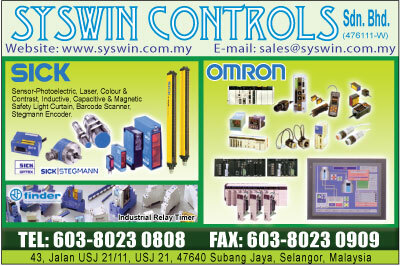 Established since 1999, Syswin Controls take great pride in the great values we offer to our customers. We work hard to ensure that our product variety, product availability, reliable delivery, and superior customer service work together to create Excellence in Automation. Today, Syswin Controls is still a private limited company providing complete automation parts source and supply across many industrial environments. In addition Syswin Controls also specializes in specification and automation engineering, PLC software services, product procurement, start-up assistance, maintenance, technical support and documentation. Syswin Controls involve solely in variety Industrial Automation Products, such as: PLC, SCADA, GSM Modem, Control Panel, Sensor, Power Supply, Relay, Timer, Counter, Limit Switch, Temperature Controller, Panel Meter, Inverter, Servo-Motor, and many more. Furthermore, we construct and design Control Panels, inclusive of Eexd Explosion Proof Panel with PLC integration. We carry popular Japanese and European brands, such as: Sick, Omron, Fuji Electrics, Mitsubishi Electrics, MeanWell, Coelbo, Cimrex, Siemens, Yaskawa, Gemms, and many more. Syswin Controls also offer hardware, software, software for hardware, firmware, spares, replacements, maintenance facilities, new installations, mysterious Japanese and European parts. Our Engineering Department focus and enables you to integrate automation hardware and software to get your project completed as fast as possible. With the in-house capability to write and integrate software into new platforms, Syswin Controls is able to support a wide variety of markets and turnkey projects. Our programmers are specially trained for real-time programming with emphasis on the mechanical and electrical systems that accompany control applications. Project completion includes comprehensive technical documentation and user manuals with available on-site training and support.